One of the joys of having kids is watching them grow. It feels wonderful to see your child´s personality develop and their tastes change as they grow up and discover new things. Perhaps the only problem with this is that their interests change quite quickly. As a result, you usually end up having to redecorate their room at least once every couple of years. A child who loved all things Star Wars can easily end up wanting to scrap all that memorabilia and move on to something entirely unrelated. This is usually followed by a request to update their room decor. 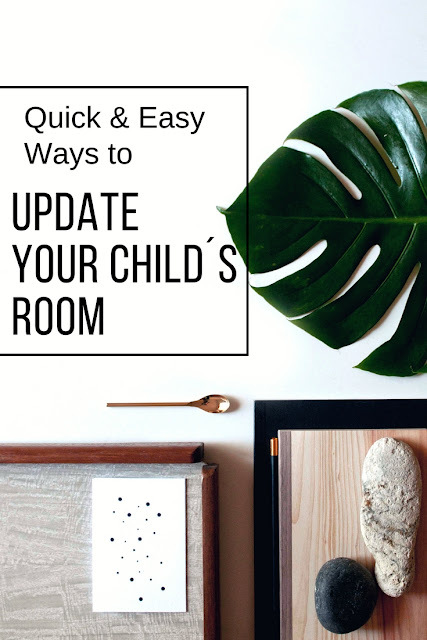 So, being able to redecorate and update a child´s room quickly and easily is an important tool in the parenting arsenal. Rather than spending a lot of time and effort painting a mural in your child´s room, use prints and posters instead. These are far easier to update. All you need to do is to go to Hello Canvas prints, upload some of your child’s favourite images and leave all the hard work to them. You should receive the prints in under a week. Simply hang them up using the hooks that you may already have installed. Finish off with some new bedding and maybe a different rug. This approach really is one of the easiest ways to change the theme of a bedroom. It’s a great idea to use your child’s artwork to decorate their room. Hang some of their pieces on the walls. Use removable and re-usable hooks, sticky tape or sticky tack, so you can swap things around when the time comes. We chose to use clothes pegs to show off our son’s work. You could even have some of the art turned into canvas prints or posters. Another great option is to turn one of the walls into a blackboard. It is relatively easy to buy the special paint that you need. You will need to apply a couple of coats, but once done, your child can create what they want on this wall. When they produce something they really like, simply leave it in place. You can turn their chalkboard artwork into something permanent if you want. This article shows four easy ways of doing just that. The only problem with chalkboards is that they are quite hard to cover up once your child has had enough of them. Usually, you will have to apply several layers of white paint before you apply the colour you want to re-finish with. This will solve the problem of painting over chalkboard walls. Just make a large chalkboard with a plywood board and hang it up. You may want to skip the black paint all together and simply fix a large plywood board to a wall. That way, your kids can create a large mural, painting or any form of craft or artwork on it. You can periodically take the board down and let them start over again. This is a surprisingly easy and effective way to enable your children to express their creativity and keep their room décor up to date. Do you have any cheap and easy tricks to update your child’s room? Please share them in the comments below. These are great tips. I need to update my daughter's room as the wallpaper is falling off but I like the sound of a quick and easy mural. I so love wall stickers too. My son loves Thomas the Tank Engine but now he is a bit older and likes trains in general. We have got a giant train sticker to put up when we re-decorate his room this spring.